Inspectors have reportedly assessed the damage resulting from the storm in the area. 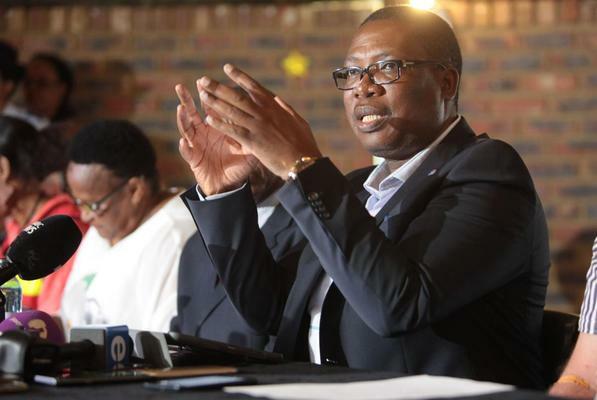 Gauteng department of education MEC Panyaza Lesufi on Friday condemned the closing down of Oakdale Secondary School in Ennerdale south of Johannesburg by the community and the school governing body due to protest action. “We condemn the act of shutting down the school as it impacts negatively on learners as they miss out on learning and teaching,” said Lesufi. The GDE said in a statement that departmental inspectors had assessed the damage which resulted from the storm in the area and discovered that the school needed major rehabilitation and, as such, it was included in the estimate of capital expenditure. “There are plans to rehabilitate the block that was hit by lightning and other classes. We are disappointed by the act of shutting down the school and the burning of a mobile classroom by the community and some SGB members,” said Lesufi. The department said it was currently finalising the process of appointing a service provider to address the general building work related to the storm damage. “The department will send a correspondence to the SGB members which seeks to find reasons why should they be not disbanded,” the GDE added.